Malaysia, February 3rd, 2017 – Epson will be launching the new 17-inch SureColor SC-P5000 printer, designed to meet the needs of the proofing, fine art and photography applications. 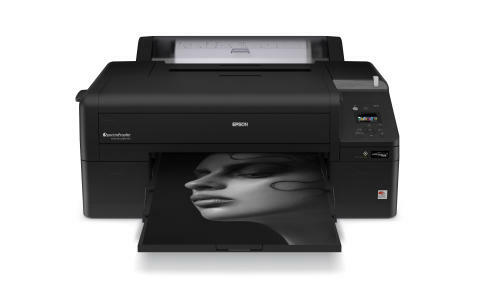 With the launch of the SC-P5000 printer, Epson now offers the full suite of print sizes from A4 to 64-inch, completing its line-up of the Epson P-series printers. The SC-P5000 printer comes with the latest in ink technology, the new Ultrachrome HDX ink that brings an expanded colour gamut, delivering outstanding print quality and unparalleled colour matching capabilities for brilliantly detailed images. The SC-P5000 with Ultrachrome HDX ink comes with violet HDX inkset to reproduce colours with near-perfect colour matching of 99% of Pantone Solid Coated Colour accuracy, suitable for colour proofing. Fine art photographers can use the SC-P5000 to reproduce their artwork with 98% of Pantone Solid Coated Colours. The new Ultrachrome HDX ink delivers exceptional print quality to the prints, with a high print permanence rating for fine art photo prints and improved lightfastness for extremely long-lasting prints. It prints at a high-resolution of 2880 x 1440dpi, ensuring crisp and detailed results. The SC-P5000 printer incorporates the Epson PrecisionCore printhead technology with Variable Size Dot Technology to produce outstanding performance and long-lasting quality output with ultra-precise control of dot size, shape and placement. The printhead comes with ink repelling coating for reduced nozzle clogging. The SC-P5000 printer offers an enhanced body for reduced maintenance. It comes with new covers and seals to limit dust intrusion, and an improved automatic nozzle check. Epson’s new colour calibration software brings convenience and ease in set-up. The printer fits seamlessly into any proofing workflow and can be supplied with a SpectroProofer, which can handle colour proof checking. “The SC-P5000 delivers precise colours that match exactly and that are easy to achieve with a printer that is highly reliable. Photographers, designers and artists can rest assured knowing that their artwork can be reproduced perfectly in the finish print to their demanding standards,” said Danny Lee, General Manager, Sales & Marketing, Epson Malaysia.